There was a time, early on in our hockey life where I would skip hockey practice routinely. Keeping the siblings occupied at the rink was not an easy task. Actually, herding feral cats was probably less of a challenge. There was no need for me to be there and it was a nightmare to bring Boy #3 to the rink. Kid was a runner and more than once I lost sight of him for thirty seconds only to discover he made his way out to the parking lot. I still shudder to think of it. If I managed to keep him inside the arena, it was no better. I can still see Boy #3 going head over teakettle down the bleachers during one of the Initiation practices. Thankfully, he wasn’t hurt. But you can see why I would try to avoid this disaster waiting to happen if I could. This year, as I mentioned, is different from previous years. 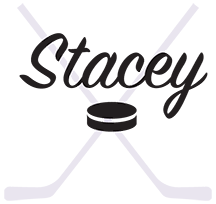 Everyone is a year older, and this hockeymom is getting wiser. Going to hockey has become a family event when the schedule allows. I get to watch my boys on the ice and the other two get a chance to learn how to entertain themselves. If I’m being honest the results are mixed. As we move through yet another season, I thought I would share my sanity savers for the nights where I need to be at the rink and the boys that aren’t on the ice need to be busy. 1- Homework. This is my most favorite option. The really busy weeks with a lot of hockey are always the ones where my kids get squirrelly. And school work still needs to be done, and it doesn’t say anywhere that it has to be done at home. So why not? Also, sometimes there isn’t much choice in the matter. 2- Colouring pages/word puzzles. Depending on the age and interests, this might work better for some. I can usually get 15-20 minutes of peace by bringing colouring pages. Or blank paper and colours. Word searches are good ones for my older boys. But they really only hold attention for a limited amount of time. Once that fades, it’s back to practicing writing. 3- Snacks. If we have practice during the regular snack time, or if I want to push the dinner time a bit, I have the boys pack a lunch box full of snacks. This has an added bonus of keeping them occupied and managing meal times. Lately, we seem to have game times during our regular lunch hour or regular dinner hour. It’s not the end of the world and snacks help to keep us from buying fast food. Win win. 4- Tech. I have yet to meet a hockey mom that will judge another mom for bringing an iPad. And if I did meet such a person, I would laugh at them. And laugh and laugh and laugh. My kids, my rules, my sanity to be saved. End of story. 5- Toys. This one I often struggle with since mine tend to leave their belongings everywhere. But it’s amazing how long a bit of Lego or a few Hot Wheels will keep some kids occupied. Just maybe double check that it isn’t a particularly treasured Hot Wheel that is coming to the rink. At any given time I have two or three of these options readily available to me. There are also times where I play it fast and loose and don’t bring anything. I can’t be a Rockstar all the time. And so far everyone has survived the rink which just proves my theory that boredom isn’t the worst thing to experience. Got any more ideas? Share in the comments!